Kia are on the right lines with this sporty update. Ed Stephens reports. The car that gave birth to the radical seven year warranty has been re-born itself. 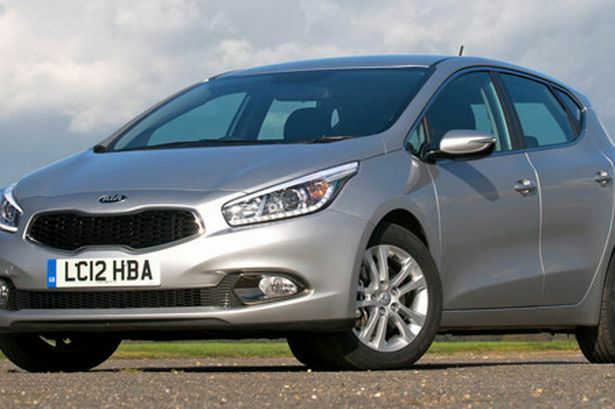 Kia’s second generation cee’d has just gone on sale in Britain. The all-new cee’d Mk11 is more stylish, more streamlined and definitely more refined. And because it’s longer yet narrower and lower, sitting closer to the ground, it now has a more sporty appearance which is enhanced by the new, more rakish roofline. Four engines are available - a 1.4-litre and 1.6-litre diesel and a 1.4 and 1.6-litre petrol - with the larger diesel having the added bonus of such low emissions at 97g/km that you don’t have to pay any road tax. Not only that but this particular model - the CRDI manual ISG - will average more than 76 miles per gallon. Now how’s that for progress? And on the subject of economy, Kia has now introduced a new double clutch automatic gearbox to ensure that buyers who prefer an auto box don’t pay the penalty of heavy fuel bills. This DCT model is claimed to average more than 46 miles per gallon, which is a big boost on current automatic Kia models. Inside the cee’d’s all-new European design shines through with a striking, clean cut dashboard, easy-read dials, intuitive switches and comfortable seats which hold you in place well on tight corners. And while the cee’d 2 is likely to be the best seller - there are five spec levels - the cee’d 4 Tech comes with all the bells and whistles, including panoramic sunroof, power adjustable driver’s seat with memory, parallel parking assist system and lane departure warning system. This latest cee’d offers sensible space for a family of five and a respectable size boot which, while not enormous, will certainly cope with the average family’s holiday luggage. A lot of work has been done on improving the sound proofing on this model by fitting thicker glass on the front doors, bonding in the windscreen and improving door seals. The result is that on the road this family hatch is noticeably quiet and refined, particularly at high speed. I tried out both the 1.6-litre petrol and diesel six-speed manual models and overall preferred the petrol which, uncharacteristically, seemed to offer far more flexibility and responsiveness. The long legged gearing was particularly well suited to long distance motorway cruising. The diesel was a little sluggish in the first two gears but picked up as you progressed through the box. Neither model will throw you back in your seat but they are not designed too, being aimed at sensible family motoring. But the 133bhp petrol will hit 60 miles per hour in a respectable 9.8 seconds on the way to its top speed of 118 mph while the 126bhp diesel’s figures are 11.5 second and 122mph respectively. I quite enjoyed the DCT six-speed auto box petrol version too. Gear changes are quick and clean with no noticeable hunting for the right gear. And if you want to change gear manually you can by using paddles behind the steering wheel. Prices for the range start from £14,395 rising to £23,795 for the all-singing, all-dancing 4 Tech model with the auto gearbox. And, of course, you still get the famous 7-year, 100,000-mile warranty which is now firmly established on all Kia models.